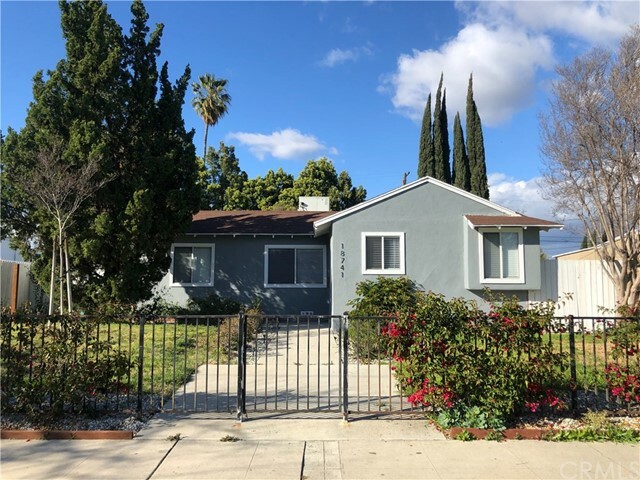 All Reseda homes currently listed for sale in Reseda as of 04/23/2019 are shown below. You can change the search criteria at any time by pressing the 'Change Search' button below. 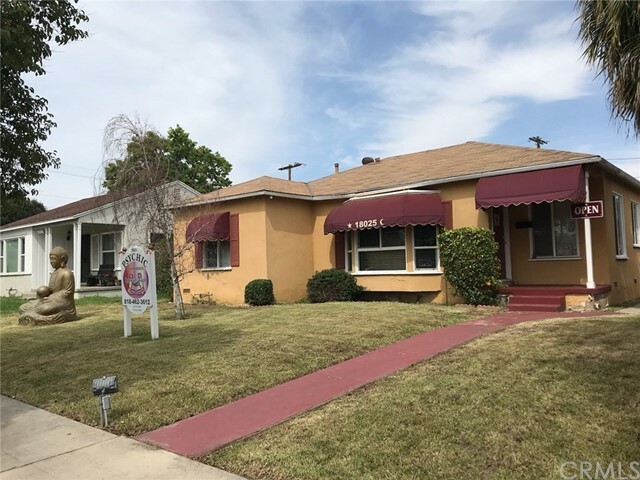 If you have any questions or you would like more information about any Reseda homes for sale or other Reseda real estate, please contact us and one of our knowledgeable Reseda REALTORS® would be pleased to assist you. "Over half an acre property on a corner lot. Sold for land value. There is an existing home on the lot, but per seller, can be torn down and lot divided into 4 separate lots, to build 4 separate 2 story homes. (Buyer to verify.)" "Stunning two story, 2017 new built, Spanish Style family home! You are welcomed into a light and bright interior featuring recessed lighting and hardwood floors. Beautiful, open, and modern kitchen professionally designed with quartz counter tops, stainless steel appliances, double oven, stainless steel farmhouse sink and an island. Enjoy some free time in the spacious Family Room that adjoins the kitchen. Bifold doors beautifully open up to a private backyard, covered patio and access to the 3-car garage. The Master bedroom upstairs features Jack & Jill sinks, walk-in closet, walk-in shower and a modern bathtub. Water Wise landscape with auto drip sprinklers. Great location! Near public transit, shopping, schools and less than 25 miles from the beach. No HOA fees! Don t let this one go!" "Large Lot with Potential to Build. Surrounded by newer construction in the Neighborhood (buyer to investigate). 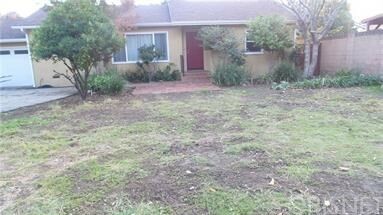 Delightful Single Story Home on a Large Lot, Open Space at Rear with Plenty of Parking, Many Trees. Open Living Room to Dine & Kitchen. Central Air/Heat." 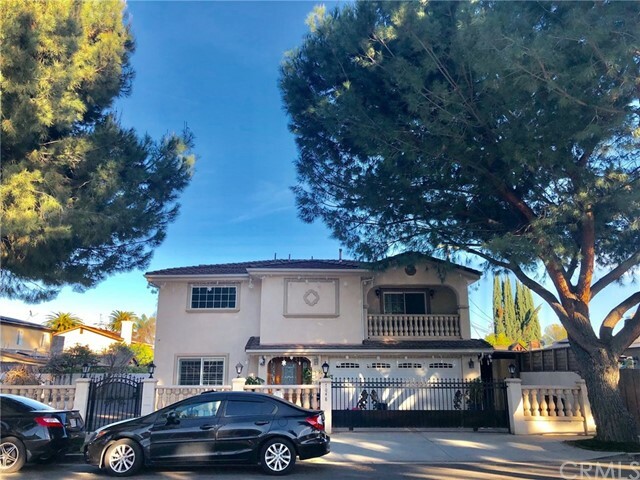 "A gated and charming 6 bedrooms and 5 bathrooms in this beautiful city of Reseda is waiting for you! 4 bedrooms are located downstairs with 2 bedrooms has its own bathrooms while on the second level rests the master bedroom with jacuzzi tub and the 6th bedroom with its own bathroom. This house was beautifully upgraded in 2005 and homeowner has maintained the house well, crown moldings, marble tiles from living room to the family room and dining area, beautiful kitchen with newer cabinets and counter tops, tankless water heater and a lot more....Cool off your summer with a large size crystal blue and sparkling swimming pool and spa. This beautiful home has 28 Solar Panels to save electricity. See it for your self!" "The wait for your perfect house is over. Complete Turn - Key. This spectacular home has been completely renovated with an open floor plan that is perfect for entertaining guests. Features include - Hard wood floors in the main living areas and Italian travertine floors in the kitchen. Newer electrical service and wiring throughout. Recessed lighting in the living room, dining area and kitchen along with built-in surround sound. New windows and doors through-out with a beautiful custom steel front entry door. The gourmet kitchen has been completely renovated and features cognac kitchen cabinets with top-of-the line stainless steel appliances including gas stove with double oven, microwave and an energy efficient French Door refrigerator with dual drawer freezer and an energy efficient dish washer. (All appliances included) Granite counter tops with stone back splash . 400 sqft Masters quarters that features custom built walk in closet. Exterior: The yard is completely enclosed by a 6 foot stone and wrought-iron fence for privacy. Concrete driveway with remote control gate. Swimming pool with a fully functional waterfall feature with led lighting. Custom built stone gas barbecue island with refrigerator and smoker. Covered patio with lights and ceiling fans with seating for entire family overlooking the pool. The front yard also has several rose bushes along with mature fruit trees which include lemon and two pomegranate. Make it yours Today!!!" "Charming Pool Home in serene and tranquil setting. This Entertainers Delight built in 1993 features 2 stories with 2 Master Suites, one on main level. 4 Bedrooms Upstairs, All with spacious Walk-in Closets. Chefs Island Kitchen features, granite counters and pantry. Kitchen can be accessed from living room and splitt family room boosting a grand Fireplace. Laundry room paves the way to the attached 2 Car Garage. Additional features are walk in shower with Rain-Shower-Head in half bath downstairs. Heated Pool and Hot Tub with Waterfall. A Finnish Sauna next to the pool. Built-ins setting up the perfect outdoor experience. Delicious citrus trees, avocado tree an more. Gorgeous Hardwood Flooring in main areas as well as upstairs. Sprinkler System in front of home. Smart home equipped with Nest Thermostat for AC. A very special home awaits you." "Incredible one of a kind opportunity to enjoy this gorgeous entertainer one-story house at the end of a cul-de-sac. Absolutely fabulous with energy saving solar system and updates/upgrades throughout! The home features 4 nice size bedrooms and 3 full baths with over 2,000 square feet of living area, large living room with fireplace, designer kitchen with some recent updates, master bedroom with walk-in closet, private back yard with a concrete half-court basketball court, koi pond, faux grass, paved parking in front for over 3 cars. Bonus guest area with kitchen, bath, and closet. Buyer to verify. The property will be sold as-is condition." "BACK ON MARKET - ORIGINALLY SOLD WITH MULTIPLE OFFERS. TWO HOUSES ON ONE LOT! 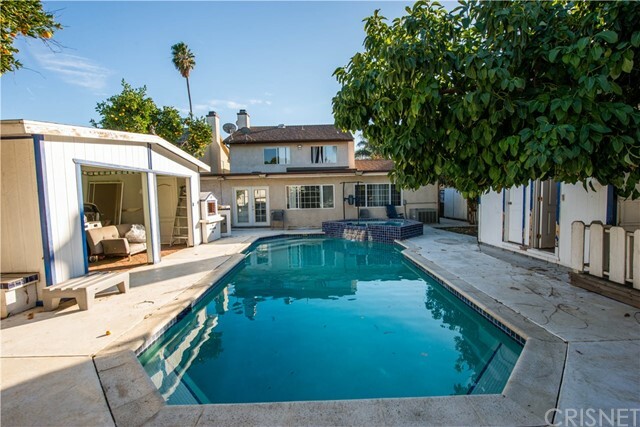 Located in a wonderful neighborhood bordering Woodland Hills and Tarzana. Close to the 101 freeway, Pierce College, the Orange line and the Village. 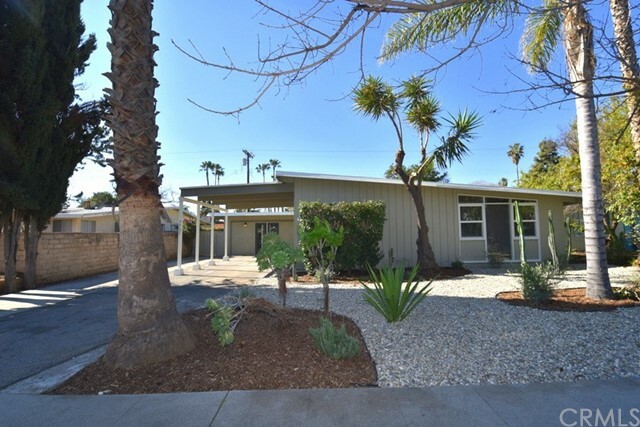 Main house (19635) is 4+2 1,555 sqft completely renovated. Kitchen boasts new white shaker cabinets, quartz countertops, and stainless steel appliances. Both bathrooms are remodeled with new cabinets, toilets, and tile on floors and showers. Master bath has a beautiful barn door entry. New dual pane windows and sliding door throughout. New laminate flooring in living room, dining room and kitchen. New carpet in bedrooms. Indoor laundry room is next to kitchen. New roof, dual meter electrical panel, and water heater installed. Back house (19637) is a brand new fully permitted ADU. Spacious studio unit boasts new white shaker cabinets, quartz countertops, and stainless steel appliances in the kitchen. The bathroom has a huge shower and indoor laundry hookups. New windows, doors, and laminate flooring throughout. The home also boasts a new roof, new HVAC unit, and tankless water heater. This home is completely detached from the main house and has it's own entrance. Don't miss this opportunity to buy two homes on a one lot in a highly desirable area at a great price." "REDUCED LIST PRICE!!! Gorgeous two story home with cathedral ceiling and built in year 2007 with 2,092 sqft living space was located on a quiet tree-lined street. The home was surrounded by 18 matured trees that provide shade and low maintenance. These are mango, mulberry, pomegranate, Asian pear, grapefruit, cherimoya, logan, persimmon, Chinese apple, orange, nectarine and more. The front yard, backyard and side yard has a cement flooring and great space to relax with family or invite friends for a BBQ. There are 3 bedrooms and 2 baths upstairs and 1 bedroom with private bath, and a guest bathroom downstairs, living room, family room, and a spacious eat-in kitchen. The master suite has its own full bath and jacuzzi to unwind. 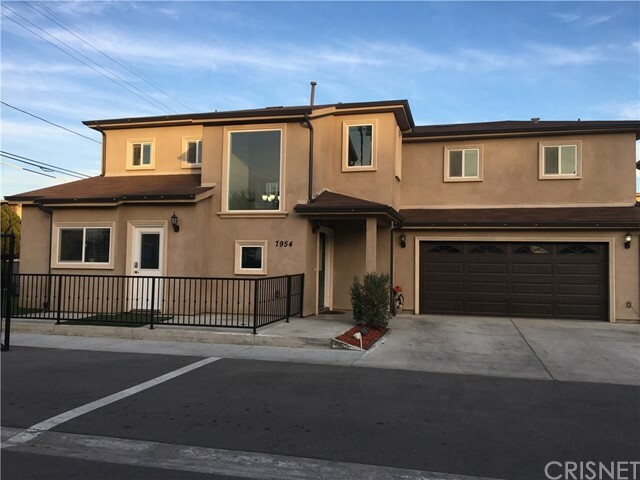 This home features tile flooring downstairs, one and a half years old gorgeous hardwood floor on stairs and upstairs, copper plumbing, laundry area, granite counters, dual pane windows and one and a half years old shutters, central air and so much more. Walking distance to shopping centers, restaurants, public transportation and city park. This home has a lot to offer." "INVESTORS should love this one. Great potential. One of the largest lots in the area. Single family residence as well as a separate guest unit on property. There are driveways from the street on both the North & South sides. Shown by appointment only." "5 CAR GARAGE!! 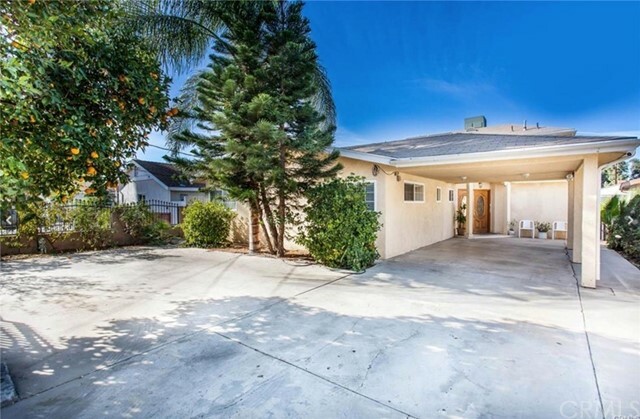 Reseda Home with lovely finishes and 1,750 square feet! Drought-tolerant rock landscaping in the front yard for easy upkeep, while a tall boxwood hedge gives the home lots of privacy. The formal living room is light & bright with large picture windows, hardwood floors, and a stunning double-sided fireplace. Off the living room is the home's kitchen, complete with crisp white cabinetry, stainless steel appliances, tile countertops, and recessed lighting. The ornate fireplace and two large columns give the room a luxurious feel, while the raised oak paneling and a mix or slate & hardwood flooring creates a warm and inviting space. The best part of this room is the custom-built bar, perfect for hosting parties with friends and family! All of the bedrooms feature brand new paint and carpet. The spacious master suite has a walk-in closet and sliding glass doors that lead out to the deck. You'll enjoy relaxing in your new master bath with its beautiful tilework, dual vanity, walk-in shower, and giant sunken tub. The backyard is perfect for entertaining with its large wooden deck and beautiful shade tree. 4 full car Garage's plus an enclosed carport. 2 attached rooms behind the garages and one is being used as an office with its own bathroom and wall-mounted AC unit. 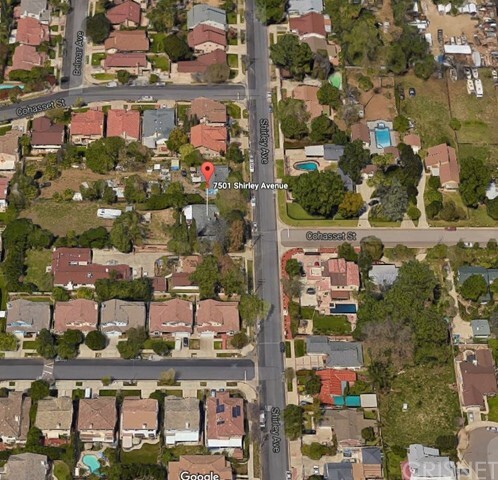 Home is across the street from top-rated Sherman Oaks Center for Enriched Studies magnet school." "SOLD FIRST WEEK AT FULL PRICE THIS IS YOUR SECOND CHANCE TO OWN A HUGE LOT!!!!!! This is an R-1, Don't miss the opportunity to own this huge, estate like lot. Ideal for someone looking for a big lot. The charming house boast 3 bedrooms and 2 baths, brand new kitchen, new flooring, completely remodel with central air conditioner, master bedroom is on one side from the other bedrooms, best price for this much land. Don't let this opportunity pass you. This home has a large front and back yard and gated entry in the front. Easy to show, you can go direct! knock on door first and then go in." "Completely remodeled Pool home 3+2 with an attached 1 +1 guest unit. This home was completely redone and rebuilt with a large attached guest unit with full bath, dual vanity, & separate side entrance. The versatile floor plan can either be a 4 bedroom and 3 bath or 3+2 with 1+1 guest unit, it's your choice!! The home has new copper plumbing, New electrical, partial new roof, new Windows, New flooring and is very open & spacious with large picture windows and plenty of closet space. Designer Bathrooms also brand new w/ high end finish. The chefs kitchen is gorgeous, Granite Island, glass door cabinets, brand new stainless steel appliances, cook top, dishwasher, stove & built in oven. Large dining room & family rm to have the open concept living. Designer paint inside and out. Gated property and parking for 6 cars. Plenty of outdoor entertainment space and patio areas along with a sparkling pool area. 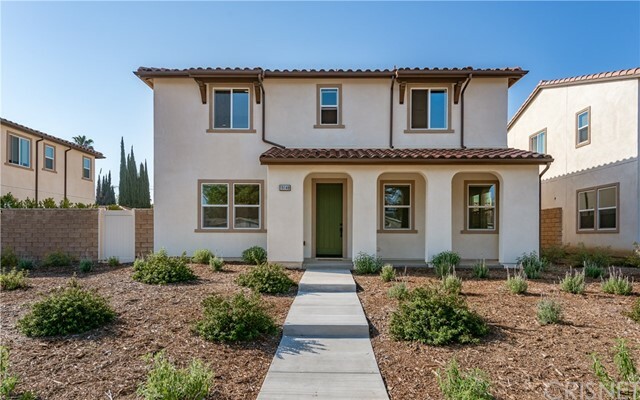 Drought tolerant exterior & energy efficient electrical makes this home low maintenance"
"Beautiful home built in 2015! Located in a lovely gated community, it features 4 Bedrooms and 3 Bathrooms. ( 1 Bed 1 Bath on the main level.) Master Bedroom with walk-in Closet, Spacious Loft Area .All bedrooms have custom built closets. Recessed lighting throughout the house, high ceilings, granite countertops, dual pane windows, soft closing cabinets, Central A/C & Heating, and a wonderful yard with artificial grass that connects to the side of the home. It is close to all the local favorites including California State University and the Northridge Mall. 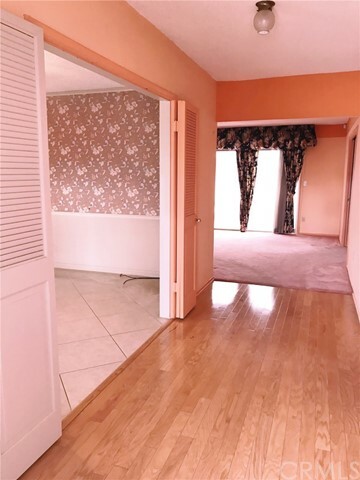 Generous amount of parking with an attached garage, parking on the driveway, as well as guest parking and a community park with only 7 units in the community." "This property is located in a quiet, family-friendly neighborhood but not far from the city center. 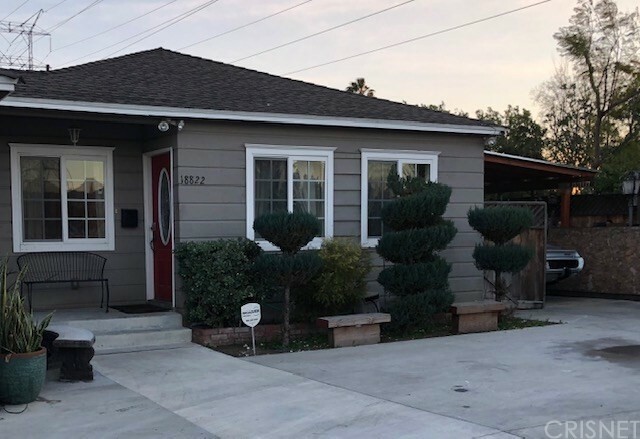 It has been extensively remodeled from top to bottom, with new roof; a newly reinforced foundation; installed a new auto shut-off valve at gas meter; and rewired electrical system & panel. Furthermore, it has brand new A/C & furnace to keep the house cool in the summer and warm in the winter. The open floor layout includes a refurnished fireplace in the spacious living area; a completely redesigned kitchen featuring a brand-new gas range, dishwasher, quartz island/countertops, and beautiful waterproof flooring. There are two brand new bathrooms added to the property and the original bath is totally updated. The master bedroom contains a stylishly new full bathroom. 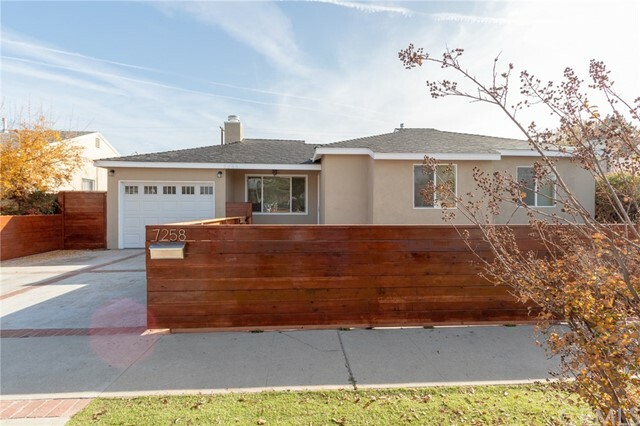 The vibrant redwood fence provides extra privacy in addition to curb appeal, and the huge backyard is roomy enough for you to create your own facility. Come see this modern, tasteful dream house yourself!" 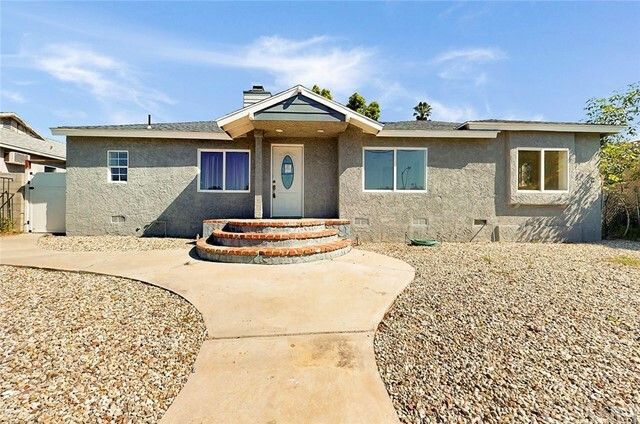 "Welcome home to this 5 bedroom, 3 full bathroom ranch style home, where there's plenty of living space, as well as a step down family room leading out to the back entertainer's patio and backyard. Inviting fireplace for cold winter nights located in the living room as well as Nest operated central heating and A/C to cool you off in the summer. This move-in ready home includes a huge laundry room with a central vacuum unit with hookups throughout the house. This home has been carefully maintained by the current owners and is ready for the next family. Beyond the great backyard is the detached 2-car garage, which can be accessed by the dead-end alley. 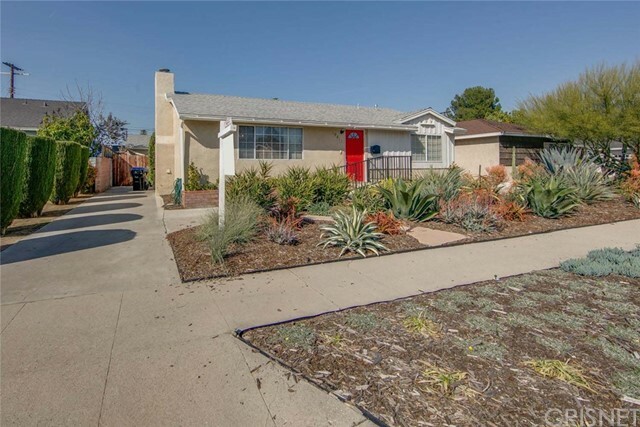 Conveniently located near shopping, schools, hiking trails, park and Northridge University." "Great Opportunity to Fix Up this house to your criteria. Has an area which may be used separately for Maid's quarters/Guest Suite/Mother-In-Law Suite which can be locked to the house, and has its own entrance. Has a leased Solar system, and a 220V quick charger for an electric car. This home is being sold in AS IS and WHERE IS condition." "ATTENTION BUYERS !!! Why Rent when you can OWN this Picture Perfect SPACIOUS Single Story nestled on a desirable street away from traffic. 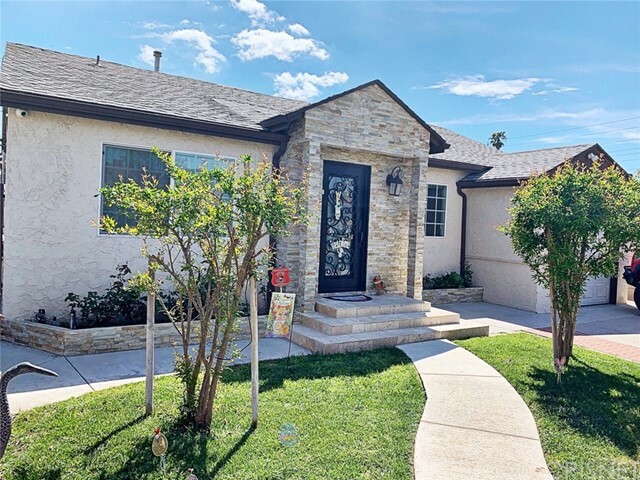 This home has many upgrades such as updated kitchen, laminate wood and tile floors throughout, generous open floorplan, recessed lighting, drought tolerant landscaping in the front, beautiful well maintained fresh green grass in backyard. Driveway with detached 2 car garage which can be converted into a guesthouse, gym, or studio. Yard is large enough for a pool and has private patio area for entertaining. High fencing surrounds the backyard, affording plenty of privacy. 3 bedrooms and two baths make this home a winner. 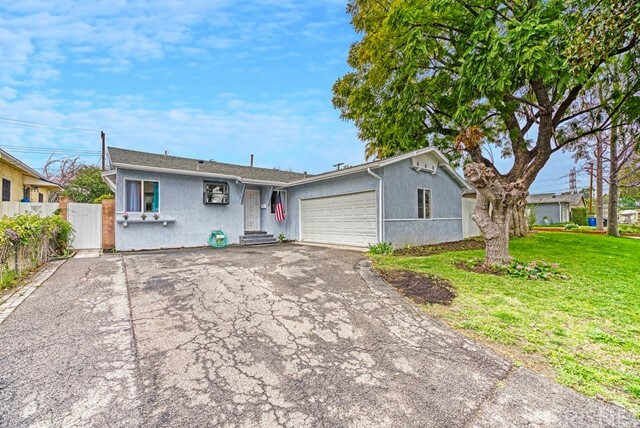 Ideal for first time buyers, newlyweds or anyone needing a fantastic single story within convenient driving distance to the 101 and 405 freeways, Shopping, entertainment, and so much more! Newer AC, Newer water heater, newer electrical, newer plumbing. Very well maintained home that you can move right into ! Could mention more but come see for yourself ... This home will make you HAPPY !!!" "GREAT 4 BED/ 2 BATH HOME. Home has nice wood floors and tile floors in the wet areas. Plenty of room for entertaining. Detached garage with alley way access. 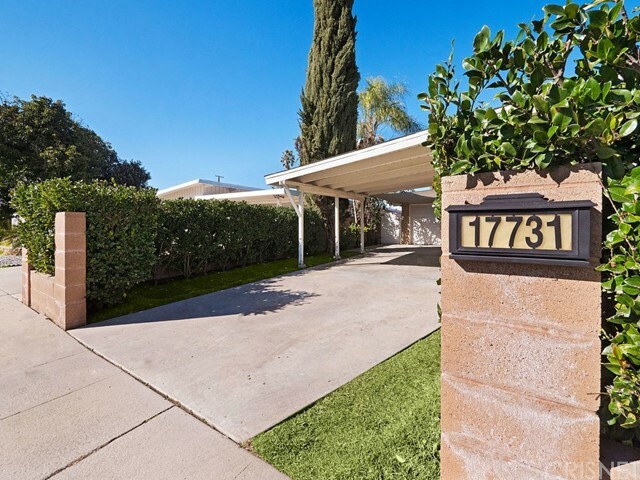 Close to local shopping , entertainment as well as the metro link"
"Completely remodeled single story home in a lovely and quiet neighborhood. This 3 bedroom 2 bathroom home has been upgraded in almost every single corner and truly is a must see home. The hand chosen touches show when you walk through the door. The light and bright open floor plan makes this adorable residence perfect for entertaining or just relaxing. The kitchen has brand new stainless steel refrigerator, stove and dishwasher and perfectly situated stackable washer & dryer that is close to the kitchen. Good sized master bedroom with private bathroom plus an additional full bathroom for the other 2 well sized bedrooms. The flooring has been updated to laminate in the dining and living room, porcelain tile in the kitchen and new carpet in the bedrooms. This lovely home sits on a large lot that is just over 6200 sq ft and leaves you plenty of room to let your imagination run wild and make it your own dream oasis with no rear neighbors. If all of this wasn't enough to temp you, lets talk about the amazing proximity to everything! Minutes from the 405 freeway, close to a large park, dining and shopping as well. This is an amazing opportunity, don't wait to see this home because it won't last." "Back on the Market through no fault of the seller. 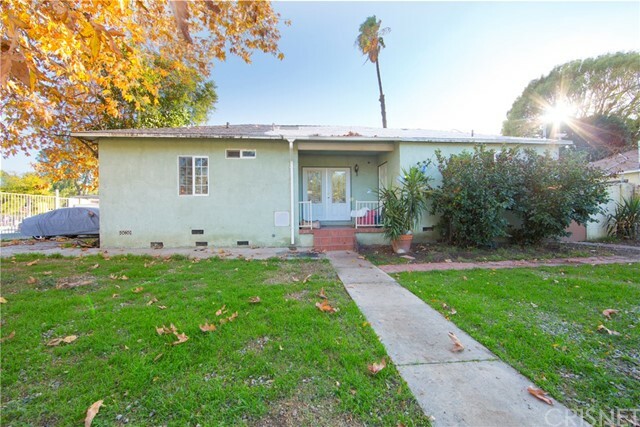 Welcome to the beautiful turn key ready home located in the heart of Reseda. This 3 bedroom 2 bathroom updated home boasts approx. 1500 sq. ft. of living space with an open concept kitchen/dining, perfect for a wide array of activities. Master bedroom has an en-suite bathroom and lots of natural sunlight. This home features wood floors, stainless steel appliances, upgraded countertops and cabinets and much more! The easy to maintain large backyard is well manicured and can be used for a multitude of events. A beautiful pergola creates an amazing indoor outdoor feel with a private seating area directly off the living room. Parking in the garage for 2 cars can possibly be converted into a large living space. 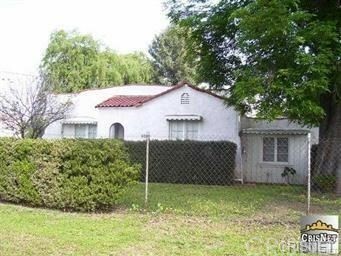 Easy access to lots of shops, dining and transit makes this an ideal location in the San Fernando Valley." 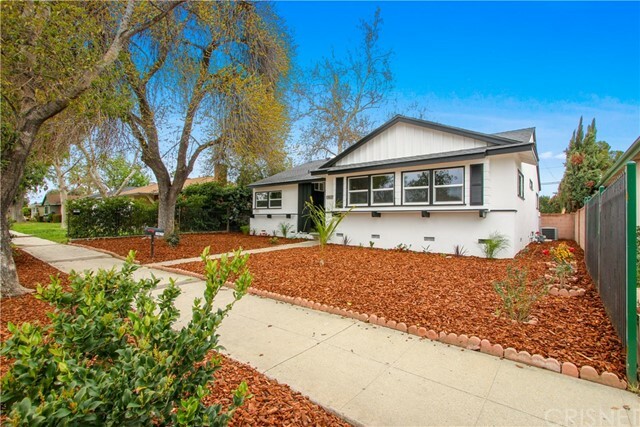 "3BDR 2 BATH RESEDA HOME"
"Welcome to this stunning single story 1643 sq ft Reseda home. As you enter you will encounter an open and spacious living room w/ a brick fireplace that is drenched in natural light from a multitude of windows and slider doors that lead to the lush green backyard.. It is further accentuated by a soaring high beamed ceiling and striking new laminate wood floors and new interior paint throughout. The cook in the family will truly appreciate the fully remodeled kitchens abundant cabinet space, new stainless-steel appliances, new quartz counter tops, designer back-splash and the adjoining convenience of the dining area. All 3 of the bedrooms are generously sized and feature vaulted high ceilings and and new carpet. There is a additional spacious room off the kitchen area great for large families and entertaining. Other features include, new exterior paint, new AC and furnace, new light fixtures and indoor laundry area.The Bathrooms have new tile flooring, new vanities, tiled showers and new fixtures. The large backyard boasts 6205 sq ft and will be a favorite entertainment destination, featuring a private backyard that has shady trees and new sod. This one wont last!!" "QUITE AREA ,THREE BEDROOMS AND TWO BATHS HOME. FABULOUS OPEN NICE FLOOR PLAN ,NEWER HVAC,NEWER DUAL PANE WINDOWS ,HARDWOOD FLOORS AND CARPET ,LARGE AND BRIGHT LIVING ROOM WITH BEAUTIFUL BRICK FIREPLACE. THE DINING AREA IS SEPARATE ROOM FROM KITCHEN . MASTER BEDROOM AND ALL BEDROOMS ARE GOOD SIZE, A ROOM NEXT TO LIVING ROOM CAN BE 4TH BEDROOM OR PERFECT OFFICE. OVER SIZED DRIVEWAY WITH GATE AND 2 ATTACHED GARAGES. HOME IS KEPT IN GOOD CONDITION. BACKYARD WITH NEWER LANDSCAPE."